When visiting with a pain management physician in Orlando, treatment may include physical therapy, therapeutic modalities, prescription medication and/or interventional pain management consisting of epidural steroid injections. Although some consider epidural steroid injections a “last resort” of sorts in the pain management subspecialty, patients report high satisfaction and effectiveness ratings. 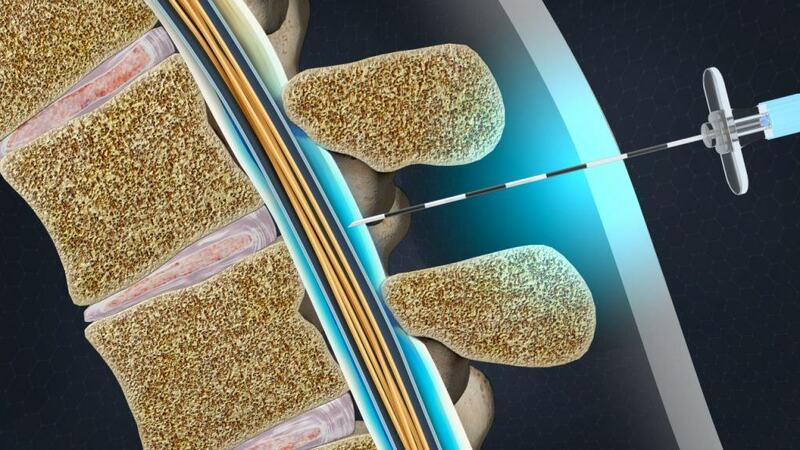 An epidural steroid injection is a minimally invasive procedure used by pain management physicians to relieve both spine and extremity pain caused by disc herniation, disc degeneration, spinal stenosis, and inflamed nerve roots. “The medication is delivered to the inflamed spinal nerve through the epidural space,” explains Dr. Willey. The epidural space is the area between the protective covering of the spinal cord (the dura) and the bony elements that form the spinal canal. The injection includes a corticosteroid (betamethasone or triamcinolone typically) and a numbing agent (bupivacaine or lidocaine). Dr. Willey that epidural steroid injections are often combined with physical therapy or home exercise programs to strengthen the back and core musculature, and to help prevent future pain. Once an epidural steroid injection has been decided as the next course of treatment for patients, they are briefed on what to expect the day of the procedure. For Dr. Willey and his fellow pain management physician Daniel M. Frohwein, M.D., the epidural steroid injection will take place at the Orlando Orthopaedic Center Outpatient Surgery Center just south of downtown Orlando. Using a fluoroscope (a special type of X-ray), the physician directs a hollow needle through the skin and into the epidural space. There are two techniques used to access the epidural space, either an interlaminar or a transforaminal approach. The interlaminar approach advances a needle between the lamina of two vertebrae at the target location, through the ligamentum flavum, and into the posterior epidural space. The transforaminal approach aims to place the needle in opening of the neural foramen. This approach allows placement of medication into the anterior epidural space and closer to the spinal nerve roots. In both scenarios, contrast dye is used to confirm proper spread of medication. Most patients remain awake during the procedure and typically feel more pressure than pain. Some patients elect mild or even heavy conscious sedation for comfort. Once the needle is in place and the steroid medication is delivered, the needle is removed and patients are moved to a recovery area and cleared to leave shortly thereafter. The entire procedure typically takes less than 20 minutes. How Effective is an Epidural Steroid Injection? Unfortunately there is not a “standard” amount of time a patient will feel relief following their epidural steroid injection. Pain relief may last for several weeks, or it may last for several years.